Stream anime episodes online for free, Watch One piece Episode 3 English version online and free episodes. 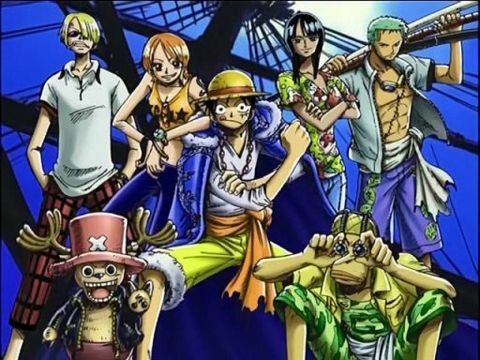 Anime Episode guide One piece Episode 3 English dubbed An Unlikely Pair: The Pirate & The Pirate Hunter Luffy hands the three swords to Zoro in exchange for Zoro joining his crew. Luffy and Morgan engage in battle. All of Morgan’s attacks miss and Luffy knocks Morgan to the ground. Meanwhile, Helmeppo takes Coby hostage. But Coby declares that he will not stand in the way of Luffy’s dream, even if it means death. Luffy strikes Helmeppo, while Zoro takes out Morgan. As Morgan collapses, the Marines toss their weapons into the air in celebration of their captain’s defeat. Later, Luffy, Zoro, and Coby are in the town restaurant with Rika and her mom. Marines step into the restaurant, and as Luffy and Zoro are pirates, they must leave the island immediately. Luffy and Zoro get ready to go, and the head of the Marines asks if Coby is with them. 4.8 / 5 - 111 ratings.